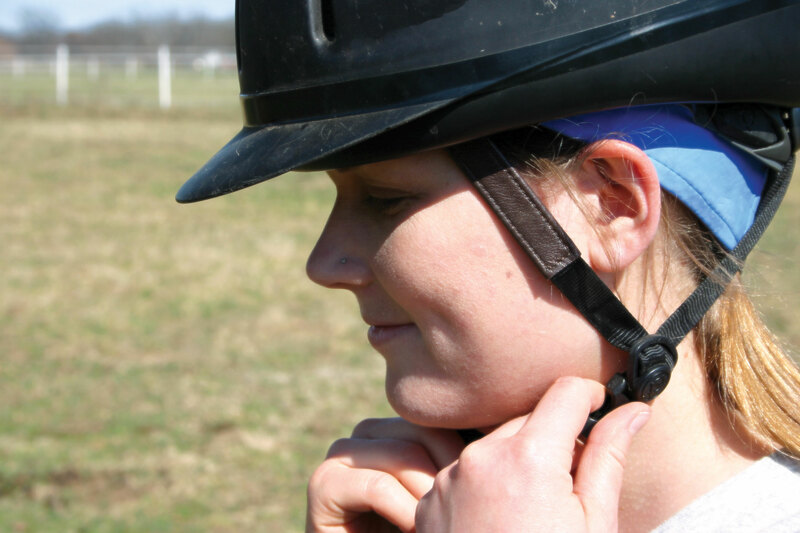 The Equi Cool Down beanies, made with an elastic band and a mesh top, are extremely comfortable to wear. 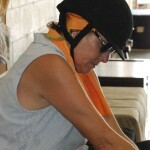 Wear the beanie under your helmet to keep your head cool on hot days. Introducing the latest cooling product for people – the head cooling beanie. The cooling mechanism in our Equi Cool Down beanies will keep you cool for hours. With an elastic band and a mesh top to comfortably fit nearly all size heads, they are extremely comfortable to wear and fit perfectly. Simple apply water, wring out the excess, and wave the beanie to enjoy hours of coolness on your head. 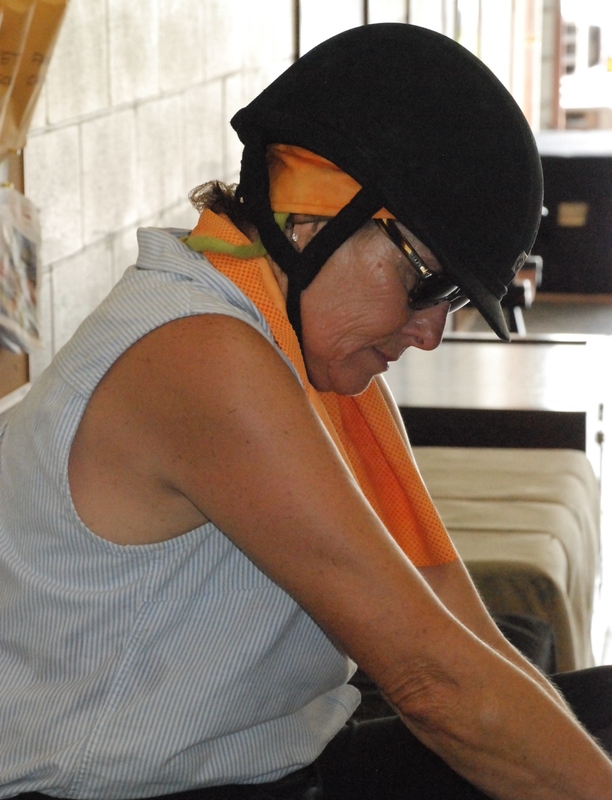 Equi Cool Down beanies can be worn under a hat or helmet to keep you cool all day long. 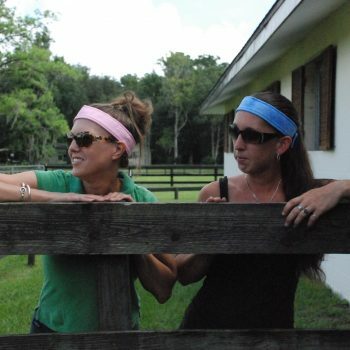 Great for joggers, hikers, equestrians, and more! 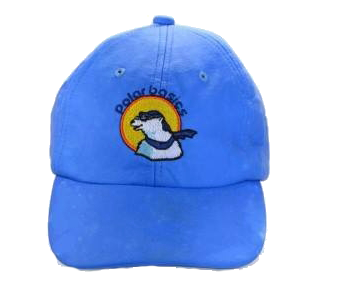 Keep the heat at bay, and keep a cool head in even the most extreme temperatures. Available in Orange and Blue. I bought this at the FEI Nation’s Cup at Great Meadow during the dressage phase on Saturday. 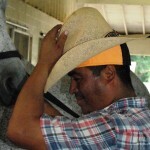 Great product – wore it under my straw hat and it made the heat bearable! I plan to use it when hiking. Living and teaching in Florida in the summer can be very challenging. 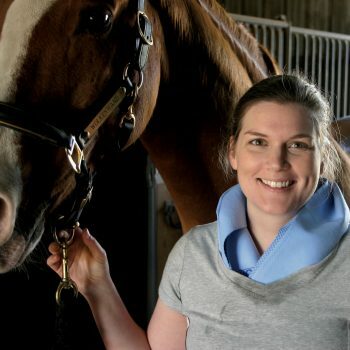 On top of teaching lessons, barn chores and working client’s horses I maintain my personal horses and keep them show ready. That is many, many hours in the sun and it is HOT. Averaging 97* with 98% humidity is the normal summer for us. 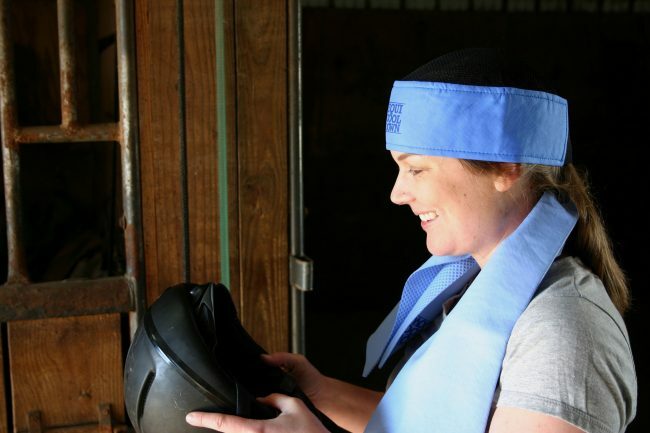 There is no way I could do it without the Equi Cool Down Beanie. It has become a staple in my barn and is mandatory for my lesson students. 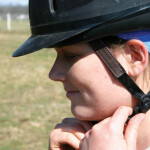 After the first time they wear it under their helmet they are hooked as well. I still have my original that I purchased at a horse show at least 3 years ago. Mowing to riding to barn chores, I depend on it now. Long lasting, quality product that I promote every chance I get. I live in Georgia and this summer has been so humid and hot its been hard to enjoy the outdoors. I have a drawer full of cooling scarves, towels, headbands, you name it, I have it. 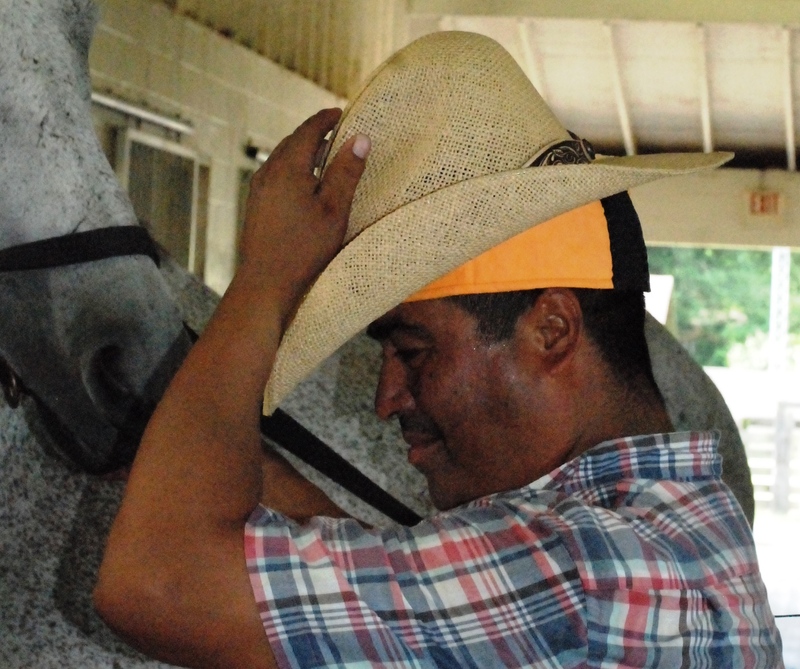 This beanie is different….for one it fits under my sunhat and absolutely stays cool. If it starts drying out, I simply wet it again and its back to cooling. I like to kayak and will spend hours out on the lake under the sun. I bought this beanie and the towel for my dog to lay on to keep cool and this has succeeded my expectations.